Jesus spoke the Word of God throughout his ministry. When faced with the devil's lies and temptations, he countered with the truth of God's Word. The spoken Word of God is like a living, powerful sword in our mouths (Hebrews 4:12), and if Jesus depended upon it to face challenges in life, so can we. 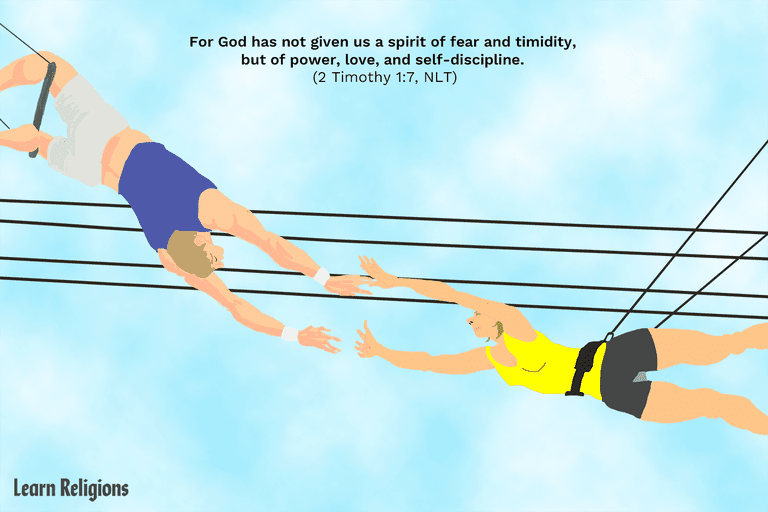 If you need encouragement from God's Word to conquer your fears, take strength from these Bible verses about courage. I promise you what I promised Moses: "Wherever you set foot, you will be on land I have given you ... No one will be able to stand against you as long as you live. For I will be with you as I was with Moses. I will not fail you or abandon you. Be strong and courageous, for you are the one who will lead these people to possess all the land I swore to their ancestors I would give them. Be strong and very courageous ... Study this Book of Instruction continually. Meditate on it day and night so you will be sure to obey everything written in it. Only then will you prosper and succeed in all you do. This is my command—be strong and courageous! Do not be afraid or discouraged. For the Lord your God is with you wherever you go." We are hard pressed on every side, but not crushed; perplexed, but not in despair; persecuted, but not abandoned; struck down, but not destroyed. We always carry around in our body the death of Jesus, so that the life of Jesus may also be revealed in our body. For we who are alive are always being given over to death for Jesus' sake, so that his life may be revealed in our mortal body.